The National Geographic Institute has published information very useful that shows gráficamente and of form resumida that do before, during and despues of an earthquake. Live an earthquake can be one of the most terrible experiences that a person can have. Clásicamente The floor has been ours reference, what never goes to fail under our feet. ¿What can think when it agitates like a weathercock in front of the wind? This event does that a lot of people leave carry by the panic and act without repairing mínimamente in the consequences. In the current state of knowledge is impossible to predict the occurrence of an earthquake in a determinate place and date. However, although this could do, of little serves us if we only have some hours or with luck some days to react. In this supposition with big security will save our lives, but if before we have not taken some minimum measures will be able to lose our home or be long abandoned times to our luck, with scarce means to survive. It is thus that the best medicine nowadays was the prevention and the preparation to act properly the day that occur the earthquake. In both cases is necessary to know the phenomena that unchain and the situations, sometimes unexpected, that create like consequence of the occurrence of an earthquake. na Time that know the main effects that causes an earthquake are in conditions to take a series of measures conducentes to diminish his damages in our house or to warn the possible lacks and difficulties that can us ocasionar these damages in the first days after the earthquake. Can begin identifying the possible situations of danger in the places where typically develops our life: home, in the work, in the school, in the supermarket, in the street, etc. Ensure the anchorage of pieces of furniture and high appliances and weighed to the wall, avoiding his dump during the shake. Move the heavy objects to the low parts of the pieces of furniture to avoid that they fall; if this is not possible treat to attach them by means of anillas, wires or velcros to the wall or shelves. Situate the fragile objects in next zones to the floor. Have the pieces of furniture so that it can evacuate quickly the house after ceasing the earthquake. It avoid to accumulate objects that can entorpecer the possible roads of leakage. Substitute the doors of glass by another similar material that was not sharp in case to break . Store chemical products (of cleaning, paintings, etc) in ventilated zones and far of where save objects of emergency (food, medicines, etc.). Identify next rooms to trees or sticks of light or telephone. If one of these falls on his fourth can demolish the wall and fall the on his group. Locate mentally the windows, mirrors or any another glass that can break and go out sacked. It identify the safest zones in each chamber: walls of load, pillars, frames of doors (that they do not have glass on them), etc. The big rooms, with big ventanales and few elements of support are used to to be more the liable to collapse during earthquakes. It treat to evacuate them quickly in case of earthquake. Know what do in function of the room of his house in that it find . If it lives in a house with several plants have at least some folding stairs. Better if it is one in each plant. It speak with his family and establish a meeting point and who has to go to look for to the smallest of the family. All the members of the family (except the smallest) know where find the keys in passing of the water and the gas, as well as the signpost of fuses of his house. Ensure that all know how close said keys or cut the electrical current in case of need. It can be convenient that label these keys, indicating clearly the position "opened" and "enclosed". Food for cases of emergency in quantity such as to live a week. This food preferably does not have to require that it conserve refrigerated, has to be of little or invalid preparation, that adjust to the needs and tastes of his family (do not forget those that can require a special alimentary diet) and that store in equivalent portions to a food (avoid "sobras" that can not conserve properly). Between these foods can signal: foods enlatados precocinados, cereals, nuts, instantaneous soups, cookies, candies, etc. Water and milk in dust for a period of similar time. It store both, food and drunk, in dry places and frescos. It review periodically the date of caducity of the containers and go substituting the ones of date of caducity more next. It situate besides the products of date of caducity more next the first. It save everything in stock exchanges or boxes of easy transport. Utensilios Of kitchen (do not forget can opener). Covered of plastic and a multipurpose razor. Stock exchanges of rubbish. Tablets for barbecue (can serve also the pineapples of pines of the garden or next forest). Suitable clothes to each station of the year. Products for the aseo personal. A first-aid kit. Medicines for chronic patients of the family. Vitamins. Bandages and cicatrizantes. Thermometer. It learn first helps if it still does not know. Very important: have a whistle, a radio, a torch and several games of batteries (conserved in his original container). It review periodically the date of caducity of the batteries and change them in necessary case. It can be convenient have these objects in the mesita of night. In the work: it proceed of similar form to his house, identifying those objects that can go out sacked during the shake. They organise a plan of emergency and evacuation of the office. In the school: it ask to the professors on the plans of emergency of the school. ¿Cual Is his responsibility and his paper in case of emergency? Ensure that it teachs to the students (his children) what do when it occur a seism. ¿What do during an earthquake? An earthquake can last from some seconds until something more than a minute. If it is big first will notice a moderate perturbation, the waves P, but afterwards the floor will vibrate violentamente and possibly will lose the balance. It is also likely that can not move: numerous objects that fall, the windows and doors that open and close violentamente or his own fear can prevent him advance. Independently of where find , procure to keep the calm and do not leave dominate by the fear. With all probability his first reaction will be of surprise or of confusion. To continuation will give account that treats of an earthquake. In no case and circumstance shout ¡is an earthquake! , that can feed the fear of others. Better shout ¡To covered! That it can help to that somebody save his life situating in a safe place. It continue inside until it finish the earthquake. Move away of all object that can fall him on. Move away also of windows or mirrors that whose glass can burst and cut him. It avoid to happen under doors with ventanales on of the frame of the door. It look for a table or solid piece of furniture and put below. If it finds a corridor, a pillar, a corner of the room or the frame of a door (whenever they do not have a ventanal on) seat in the floor, flexionando and raising the knees to cover his body and protect the head with the hands. If has a book, newspaper, helmet, a cushion or something with what cover the head, do it immediately. If it is in the kitchen, go out immediately of her. It is the most dangerous chamber of his house by the big number of objects that there is in the cupboards and that they can fall. If it is barefoot (in the bed, shower, etc. ), launch a blanket or towel to the floor and walk dragging the feet on her to avoid courts with glasses broken. Procure to put under the bed until it happen the earthquake. If it is in a chair of wheels, block the wheels and cover his body bending on himself same and covering his neck and head with the hands, blanket or another object that have manually. It do not run despavorido to the exit. Can create an avalancha human that with all probability will cause more injured that the own earthquake. Move away of windows or doors of glass. If it is in the cinema or the theatre throw to the floor, of knees, covering his head and neck with the hands. It procure besides realise it in the gap of his seat, so that his neighbours can follow suit in his respective gaps. In spaces with shelvings (libraries, archives, supermarkets, etc.) go out of the corridors where find the shelvings and bend, of knees, covering his head and neck, beside the sides of the shelvings. In the school do that the boys and students kneel under his desk, putting a book on the head. It detain slowly the vehicle, in the arcén of the road. It do not stop never below or on the platform of a bridge. Neither beside sticks. It do not go out of the vehicle until it finish the earthquake. It procure not blocking the road. Move away of buildings, roads, sticks or trees. It look for open places. If it does not have near an open place, cover in the zaguán of the most next house, preferably under the frame of the door of entrance, without penetrating in the hall of the house. ¿What do despues of an earthquake? na Time that has finished the vibration, his answer goes to vary depending on where find and of the damages ocasionados. As in the previous cases go to consider several possibilities. If it is in the darkness do not light the light or a sail. It use the torch. Closing the espita of the gas, the supply of light and the water. If it appreciates a leakage of gas do not cut the light; when doing it can jump a spark that piece the leakage. It do not use electrical devices that can cause sparks and abandon quickly the building. It do not abandon his house if it does not observe damages in her, but neither show to windows or balconies, that could fail with his weight. If it was necessary to evacuate the house, do it all the members of the family jointly. If somebody does not answer can be conmocionado and require help. If it remains trapped between the ruins of his house, procure to escape between the existent gaps between the demolitions. If this is not possible, use a whistle to call the attention of the teams of rescue. It keep the calm. If they have to evacuate his house and live in a block of houses, use the stairs, never the elevator. It expect to that a technician review the damages and determine if it is sure go back to occupy it. If it goes back home, it do not go in in her if it observes damages. Move away of wires broken or fallen. It watch that the boys do not approach to them. It do not use the telephone unless it was strictly necessary. It can collapse vital lines of communication of the authorities. It light the radio and listen the news and parts of information of Civil defence . It obey the instructions of the authorities. If there is not supply of the water, do not use the chain of the toilet. The water of his tank can be very useful. It proceed to collect the packages where saved the things that indicated in the section to "have manually". If it does not have electricity but can access to the foods of his frigorífico, use these first. It procure not moving to people gravely injured unless it was necessary. It expect to that they arrive teams of rescue. If it is in the school , follow the plan of emergency established in the same. If in it finds in a vehicle , light the radio and procure to go back to his house with big caution, avoiding routes that cross numerous bridges. In no case it go back home if it lives under a prey or near of the beach. If it is in a ship and the earthquake has been violent, possibly form a maremoto. If it was it was and moved away of the port, direct immediately to open sea, there the waves of maremoto will have a lot of lower height because of the greater depth of the mar. If by the contrary finds in the port, go down of the ship and move away immediately of the coast. In no case it go to the beach to see come the possible maremoto. 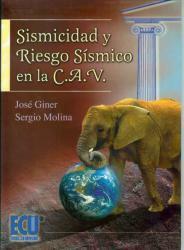 ¿Which damages causes an earthquake? The main cause of damages ocasionados by the earthquakes is the own shake. Said shake causes the fall of numerous objects and the collapse of buildings. The collapse of buildings causes that in the best of the cases his inhabitants remain trapped between the demolitions, being frequent that perish by aplastamiento. On the other hand the fall of objects can cause numerous wounds, arriving even to the death if it treats of objects very heavy (pieces of furniture, heavy lamps, false ceilings, etc.) or sharp (fragments of glasses of windows). Differential settlements in the floor. Landslides and training of coladas of mud. Agrietamiento And fracture of the floor. Floods (by split of reservoirs, drivings of water, etc). All these phenomena can be very destructive if they affect to the terrain on which assent our cities or the necessary infrastructures for the normal development of our life (hospitals, firemen, tanks of supply of water, fuel, electrical head offices, etc.). A very important appearance to have present is that after an earthquake, especially if this has been destructive, is very likely that interrupt the supply of light, water and telephone. This can force us to have to live during a period of several days in some totally unexpected conditions for us, without frigorífico where store the foods, without water or light to cook them. Another phenomenon that is used to to accompany to a lot of earthquakes, and that sometimes has caused more damages that the own shake, is the fire. Like consequence of the vibration can break the driving of the gas of the kitchen; a spark of a wire broken or the innocent phosphorus that light to see better in the darkness can unchain a fire that arrase our house or even our neighbourhood. The fault of supply of water can besides prevent that it can turn off this fire. Closing of roads and roads férreas. I collapse of bridges. Closing of supermarkets and trades in general. Limitation in the access to goods of consumption. Pollution of the air and water by toxic leakages and fires. Fault of zones of received. Exhibition to the inclemencias of the time.